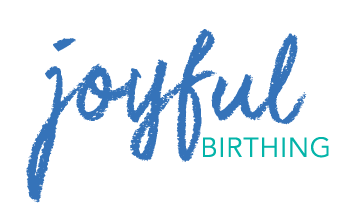 Join Joyful Birthing’s extensive 10-Month Birth Doula Mentorship Program to take your doula practice and your business to the next level. Support and guidance is a key component to having a thriving and sustainable business. Joyful Birthing’s Mentorship Program strives to educate and empower new doulas, so that they can have the confidence and skill-set to have their own successful, independent businesses. In the role of mentor, Ellie Lindenmayer- founder and owner of Joyful Birthing- is here to offer her guidance and support as you embark upon the exciting journey of becoming a birth worker. She will share with you the many keys to her success, will offer her expertise on a wide array of topics pertinent to having a thriving birth doula business, and will support you as she does her clients with compassion, respect, and availability. Access to Joyful Birthing’s Client Interview Packet, Prenatal Visit Handouts and Questionnaire, and our 5-Page Client Agreement (drafted by an attorney), which includes service agreement, liability release, and confidentiality agreement. Referral opportunities for clients seeking low-cost or volunteer doulas. Once you complete the program, the potential for future referral and partnership opportunities with Joyful Birthing. The completion of a doula training program; if not yet completed, the interest and intent in doing so. Genuine interest in supporting couples as they seek the best birthing experience, as they define it, with compassion, without judgment, and with respect. Dedication to expanding one’s doula practice and business, with an eagerness to learn, improve, and understand evidence-based practices for pregnancy, labor, delivery, breastfeeding and the immediate postpartum period. Joyful Birthing’s 10-month Doula Mentorship Program is $850. A minimum $200 deposit is required to reserve your space. Flexible payment plans can be arranged. Space is limited. To apply for a space in the Doula Mentorship Program, please send an email to ellie@joyful-birthing.com, which addresses the following questions. **Please explain your background and what led to your interest in working as a birth doula. **Why do you want to be a doula? Do you have any experience in the birthing world? What attracts you to this work? **Please explain your philosophy of birth. When you think about childbirth, what do you think? How would you explain your philosophy of birth to a prospective client? **What are your goals for this work? Where do you hope to be with your business within a year from now?